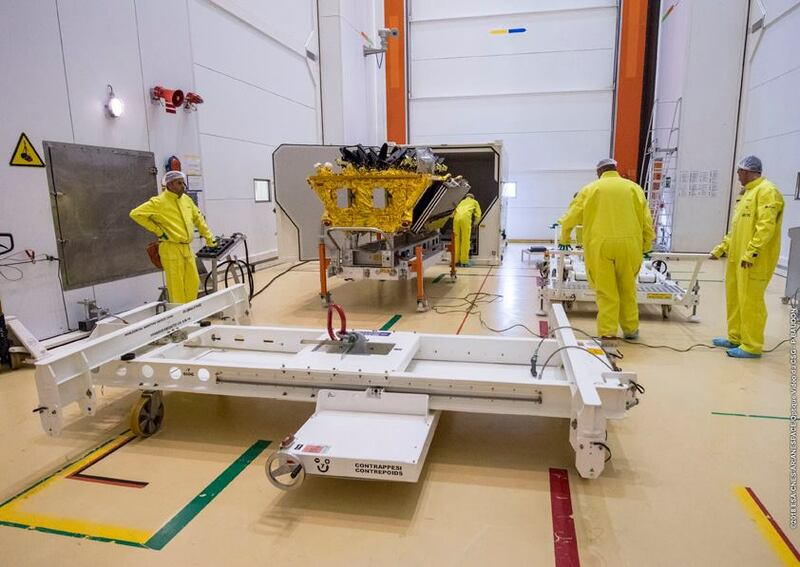 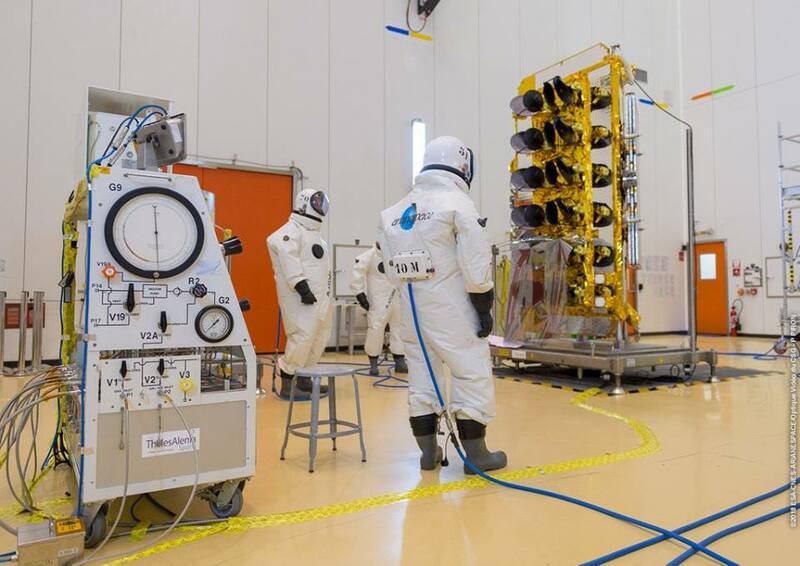 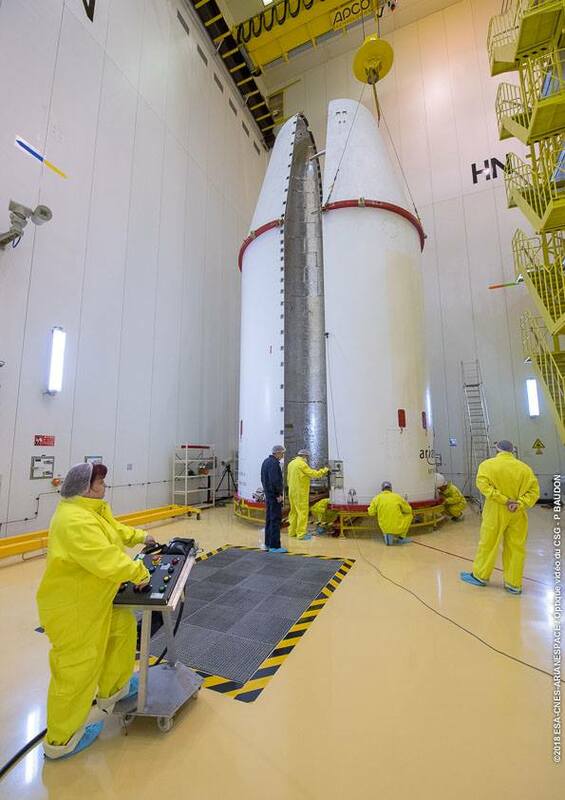 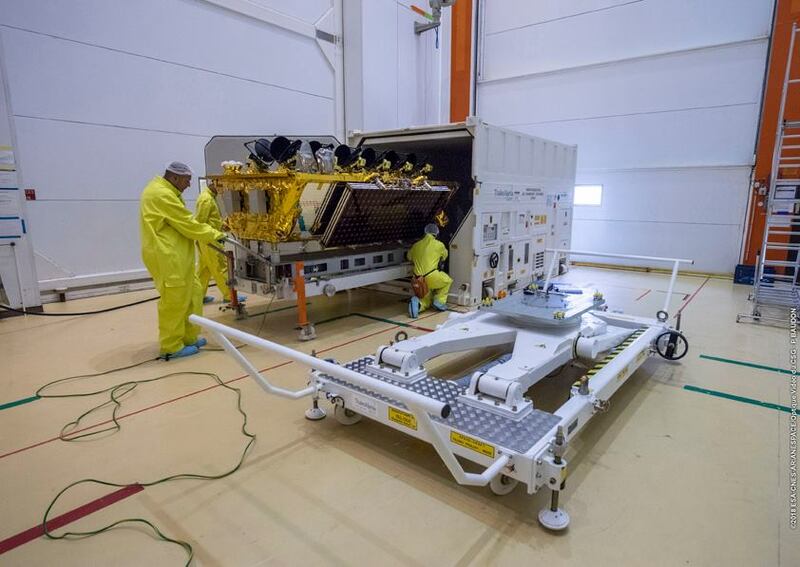 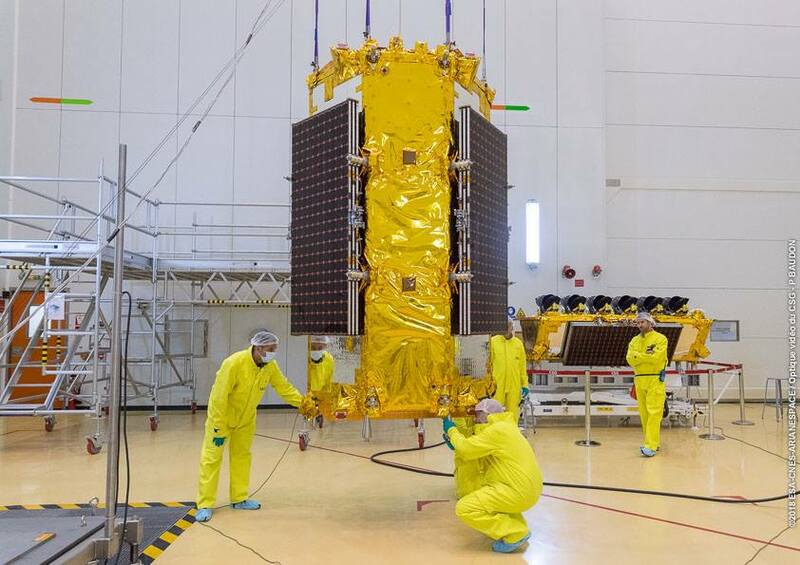 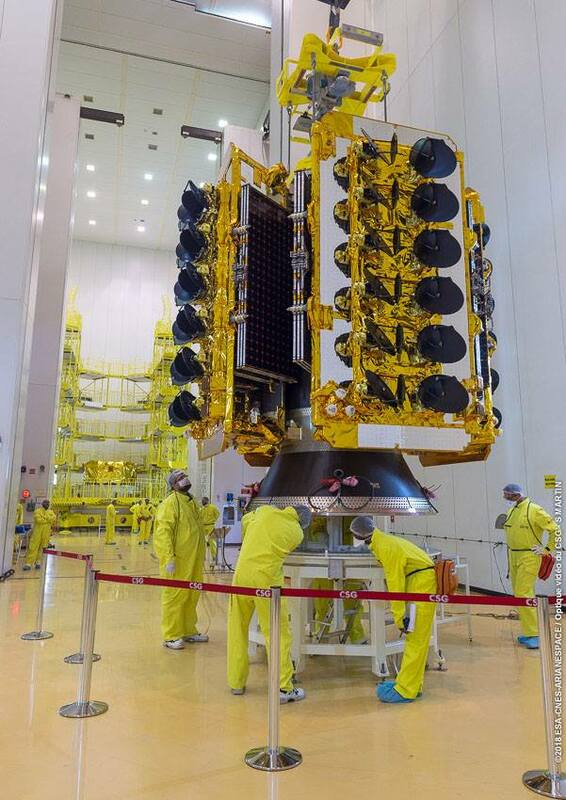 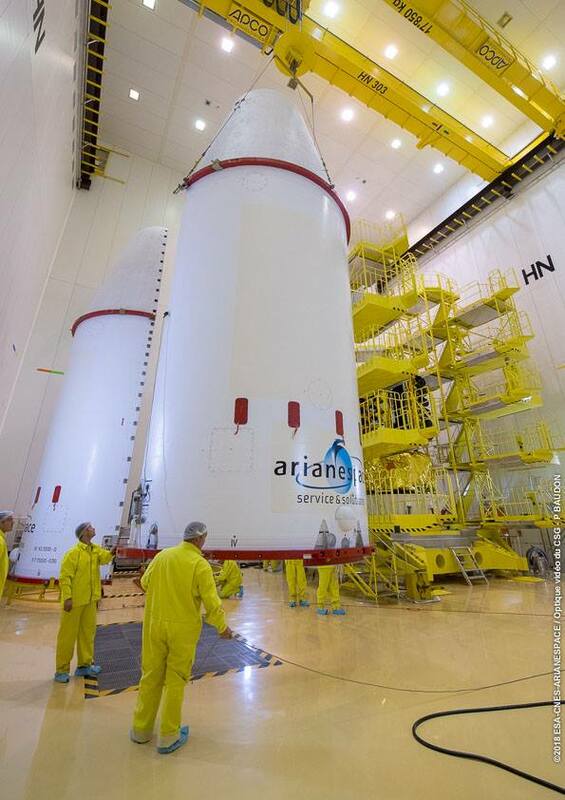 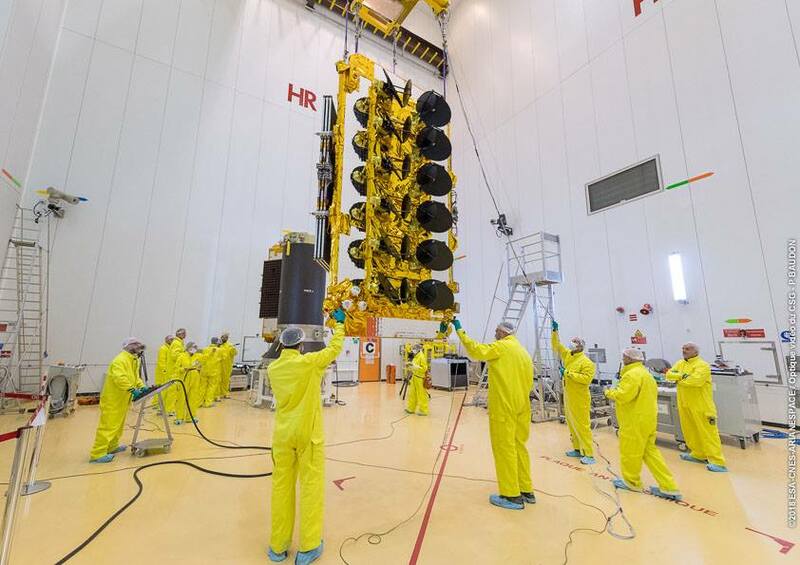 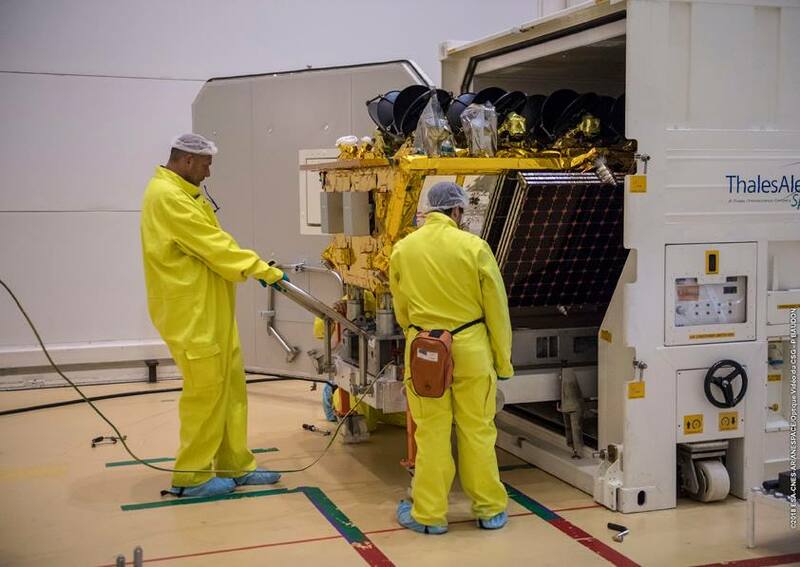 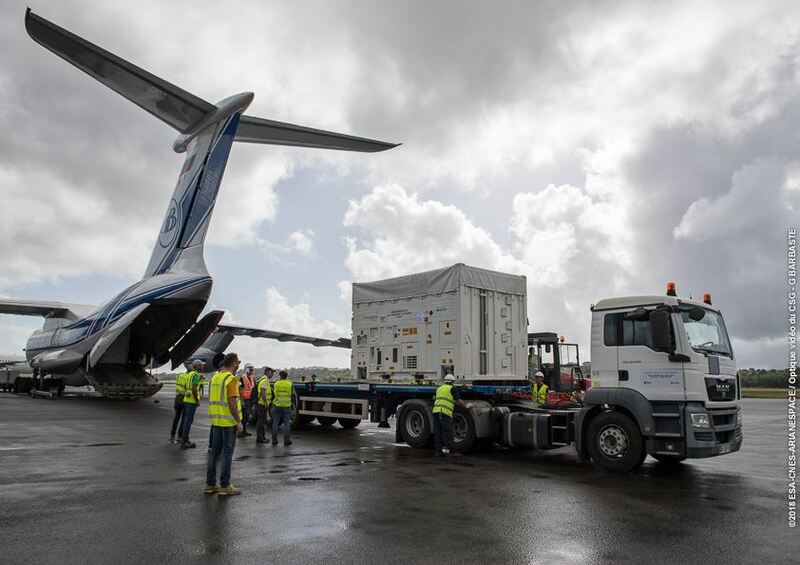 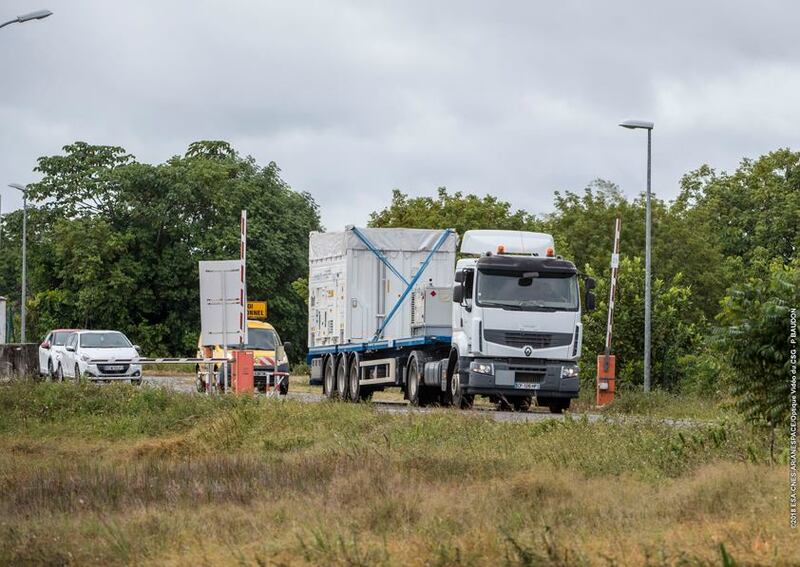 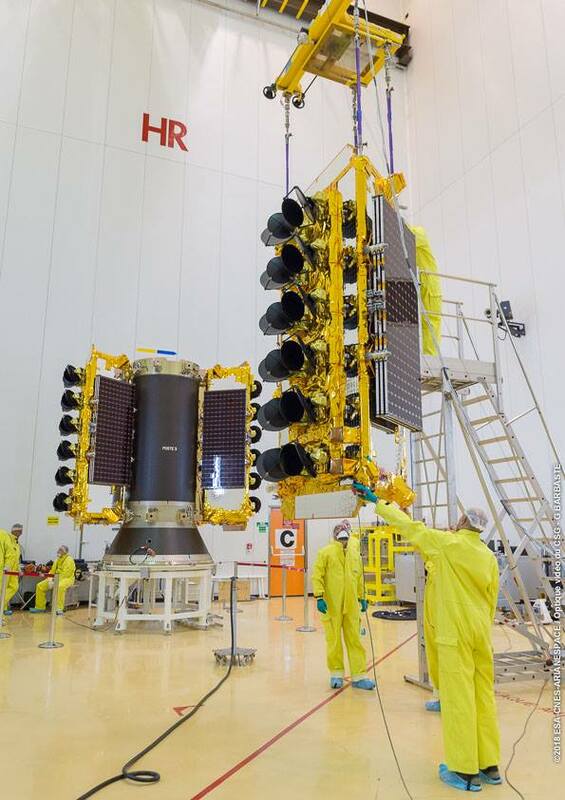 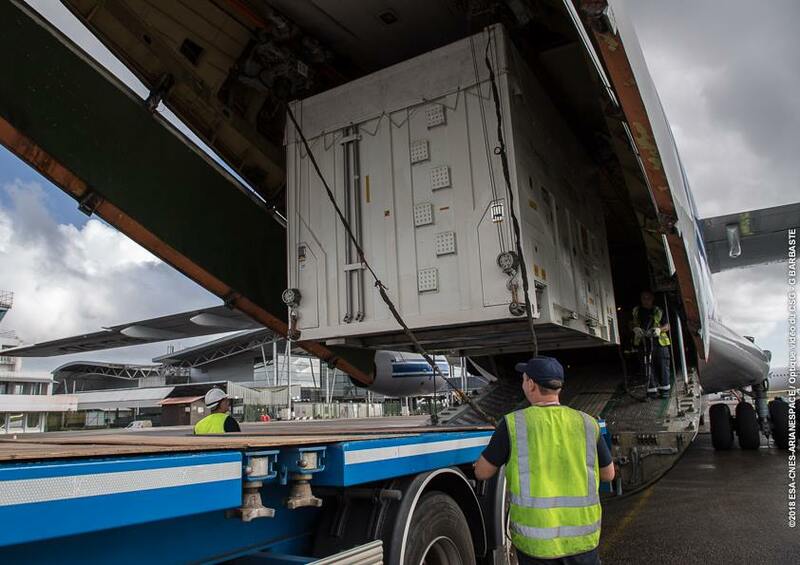 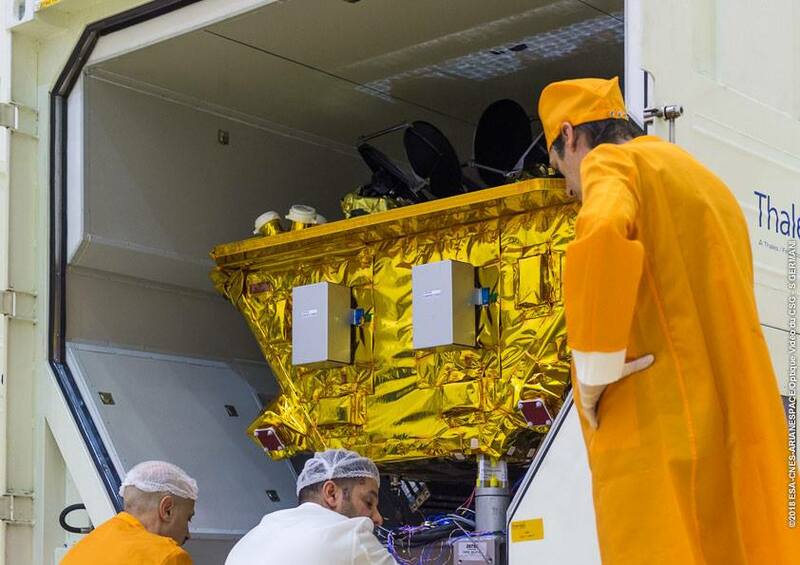 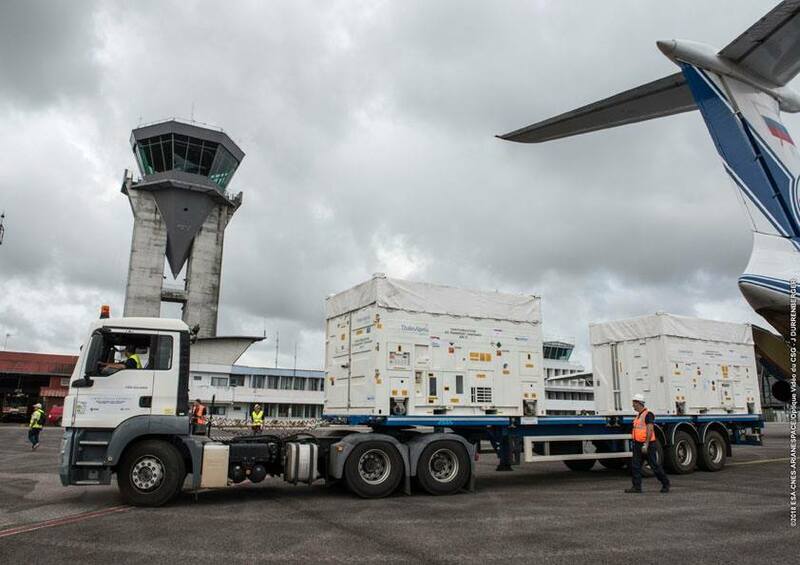 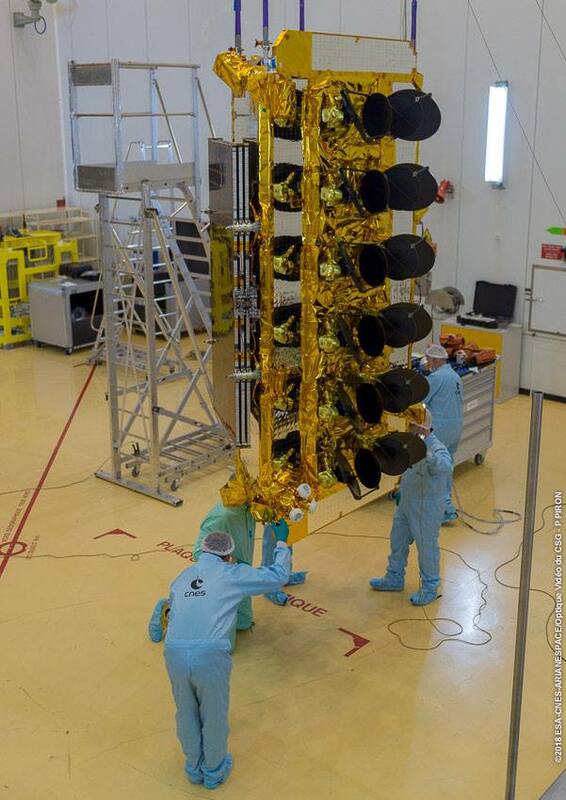 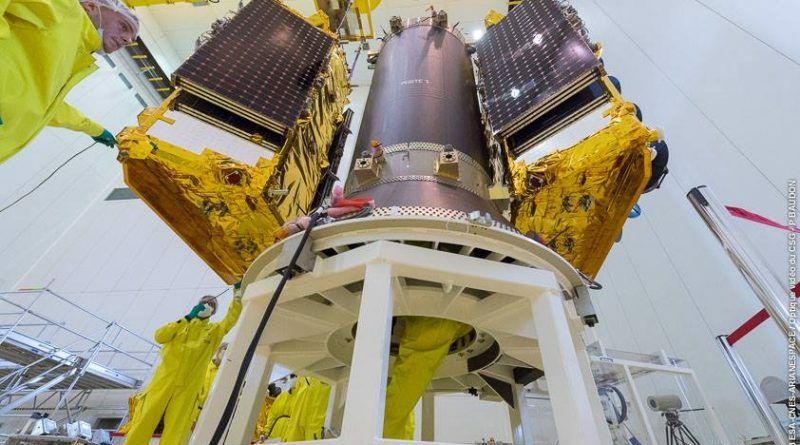 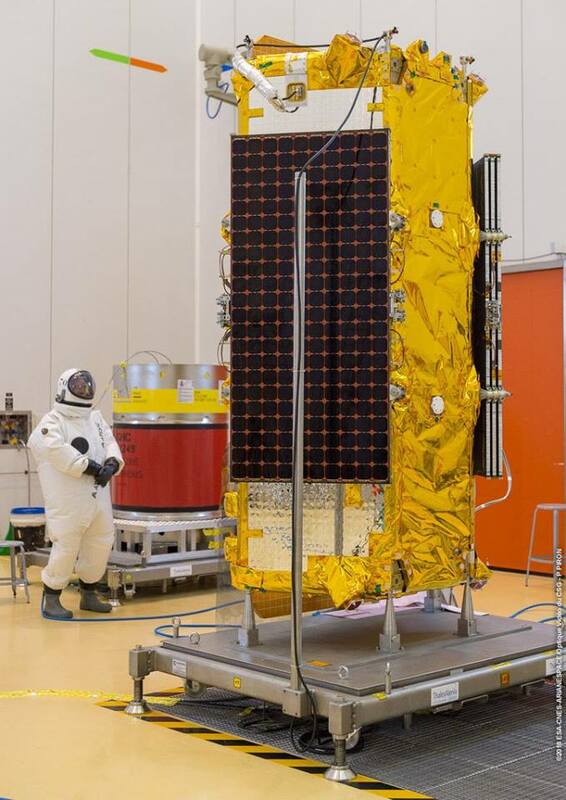 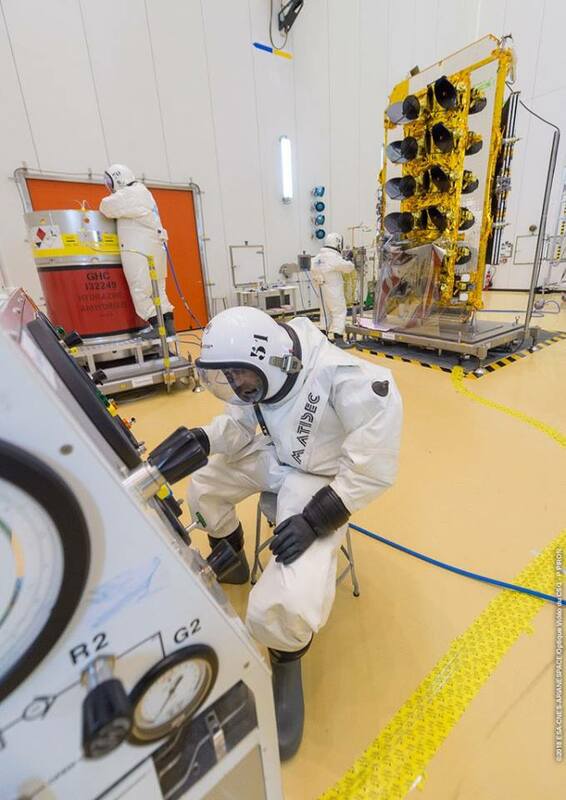 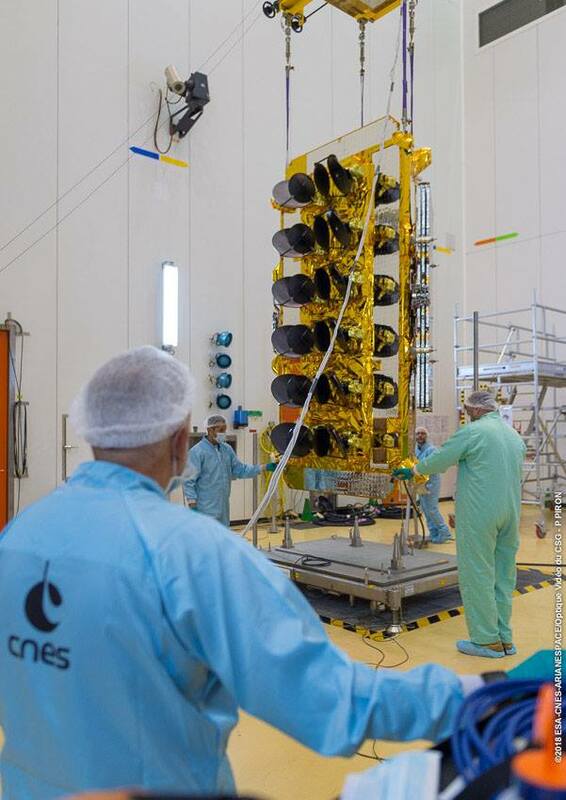 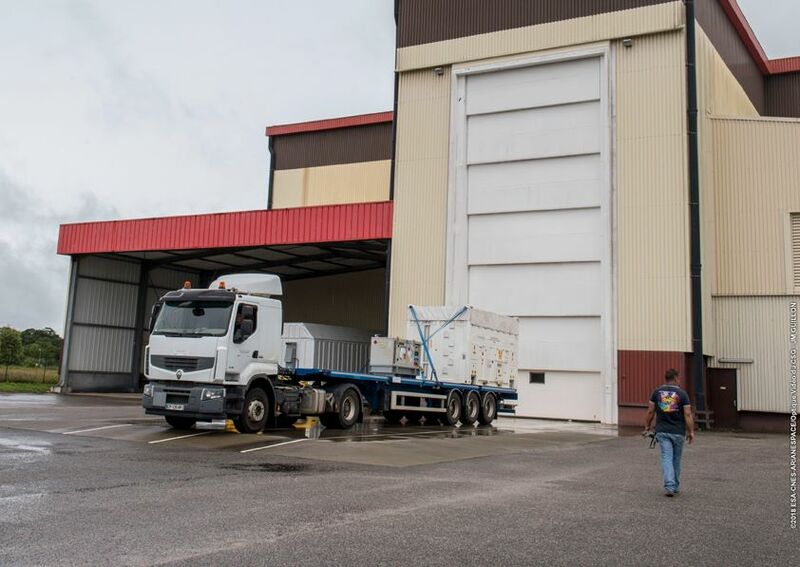 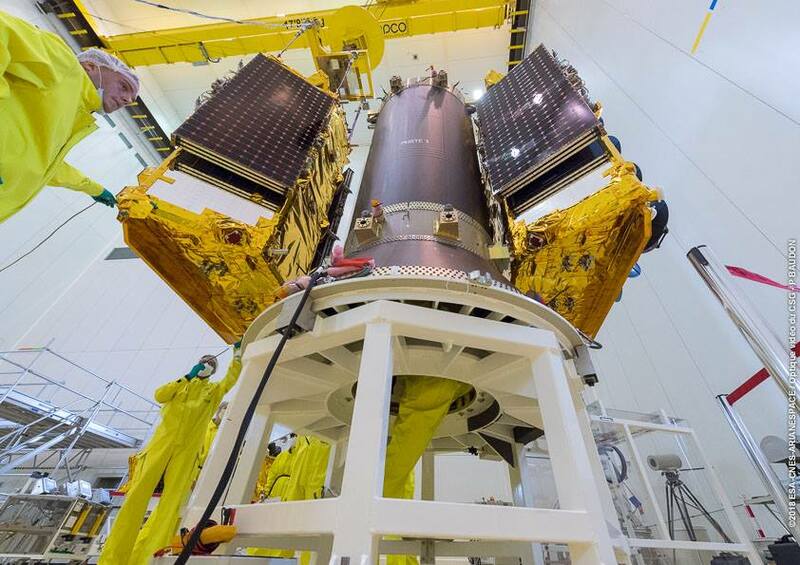 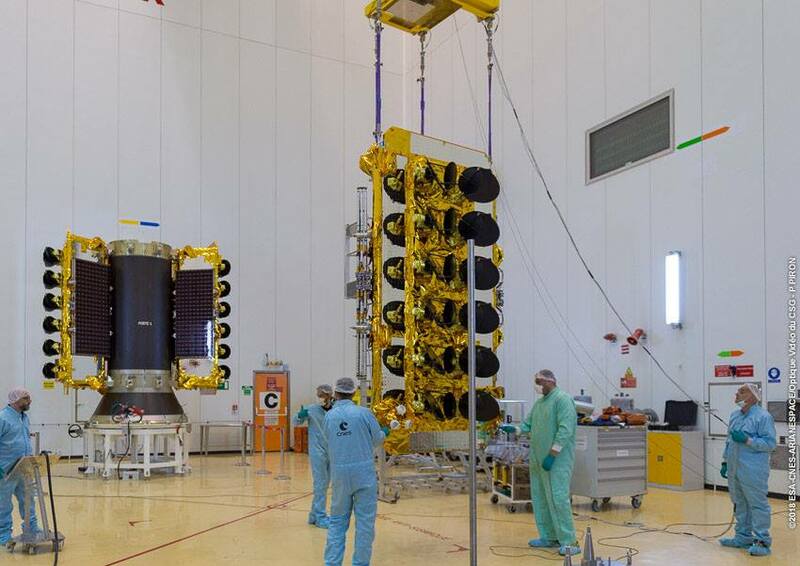 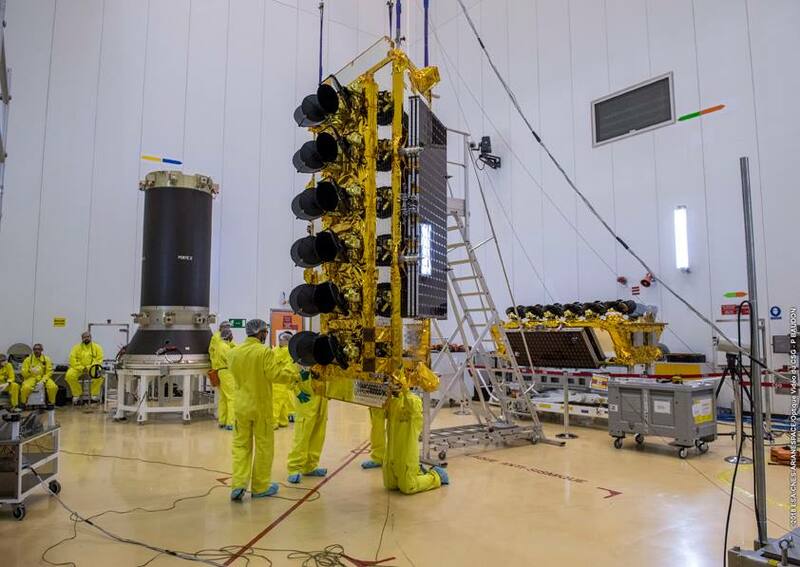 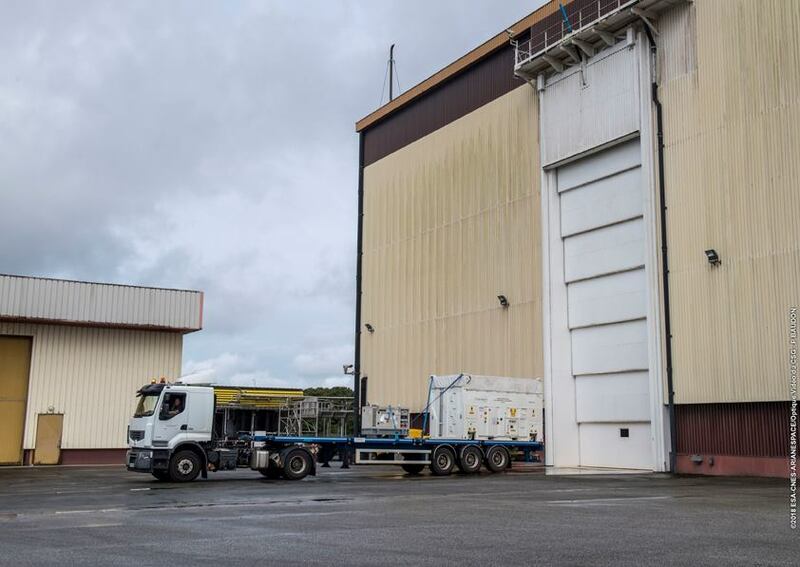 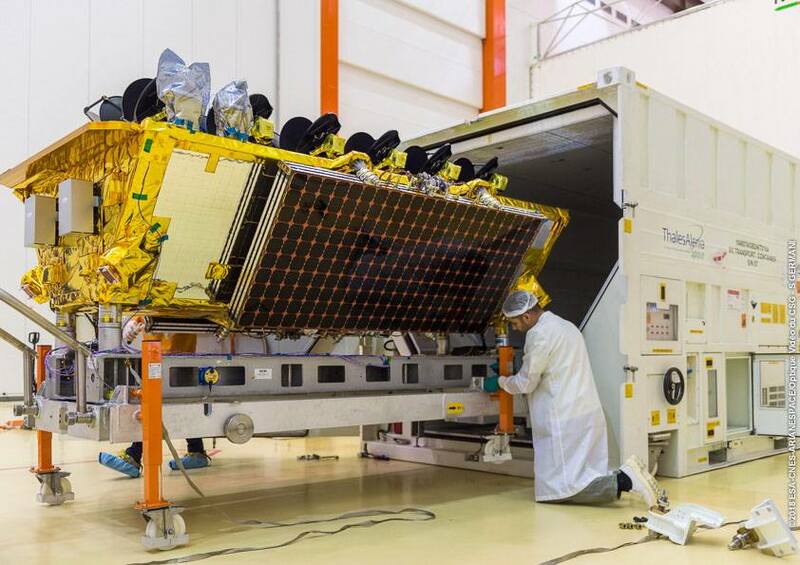 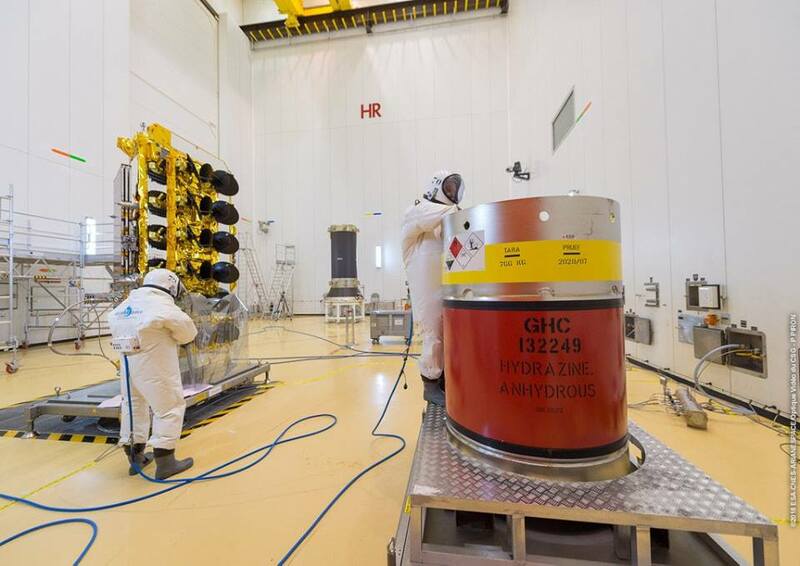 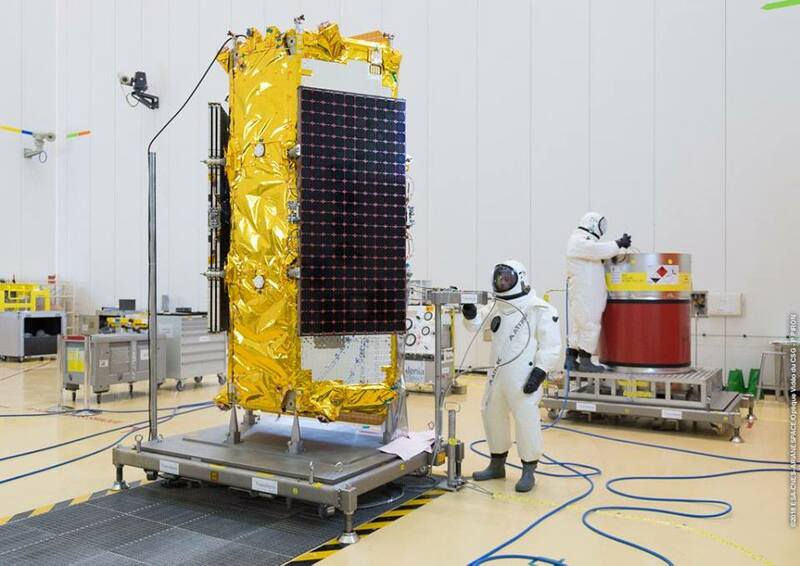 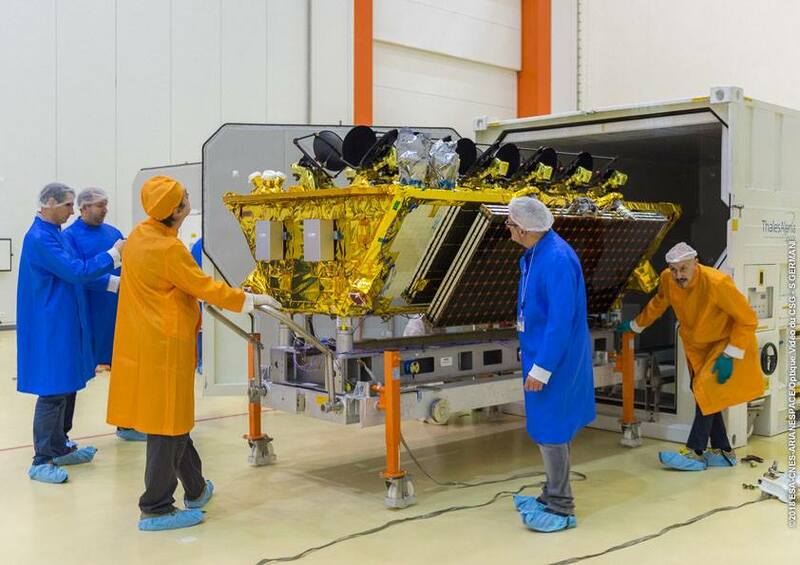 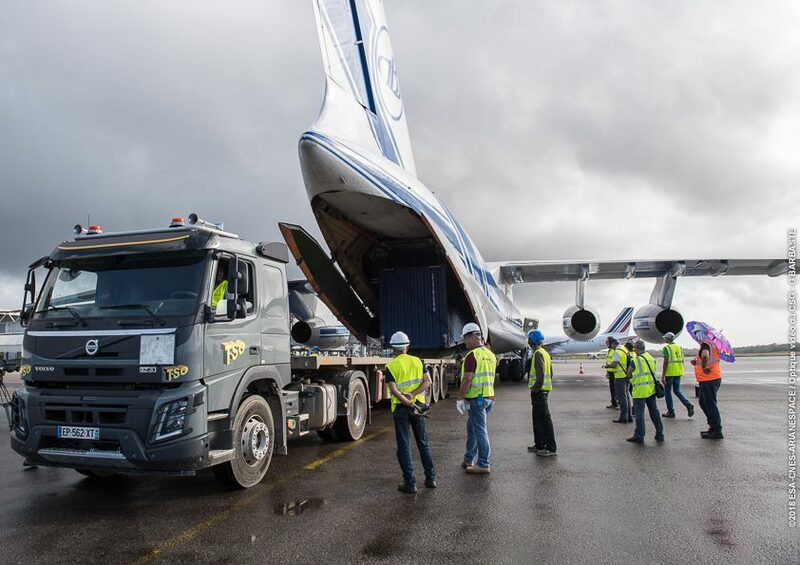 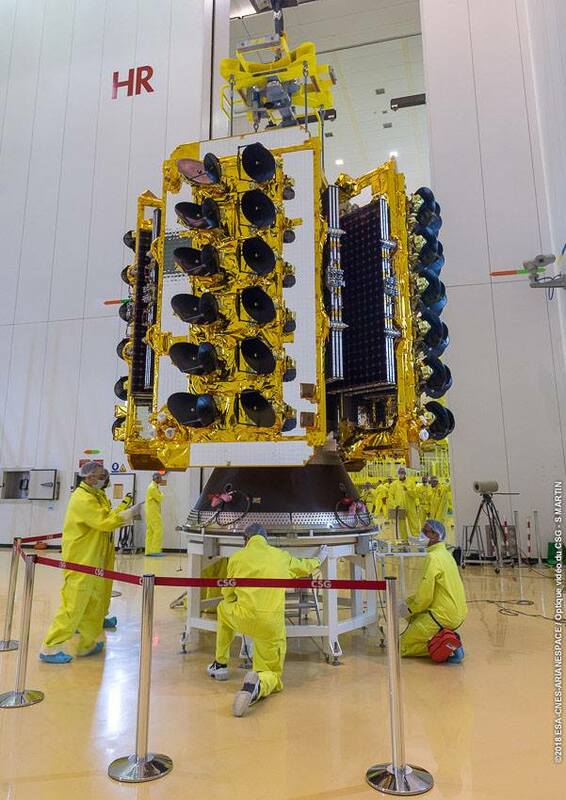 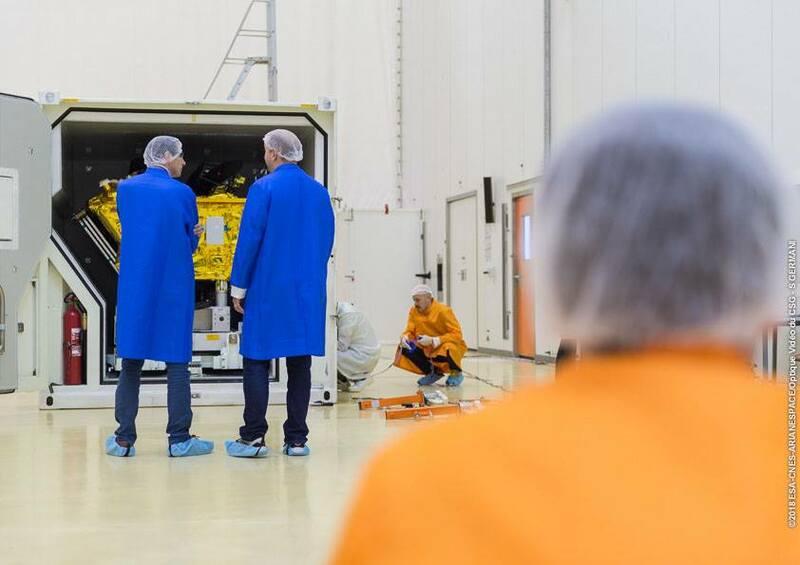 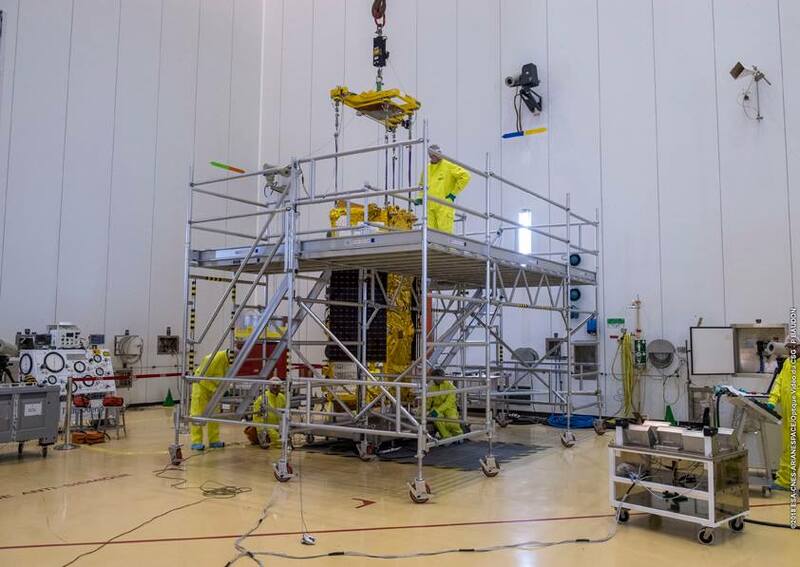 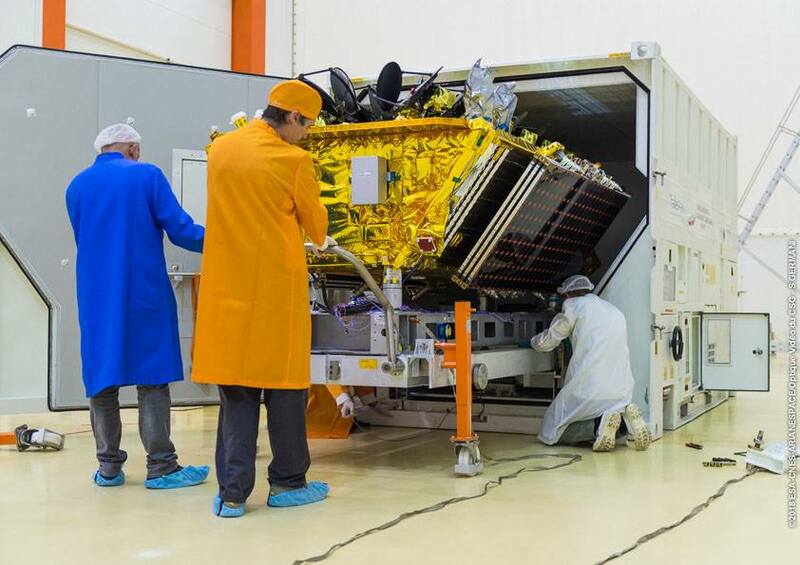 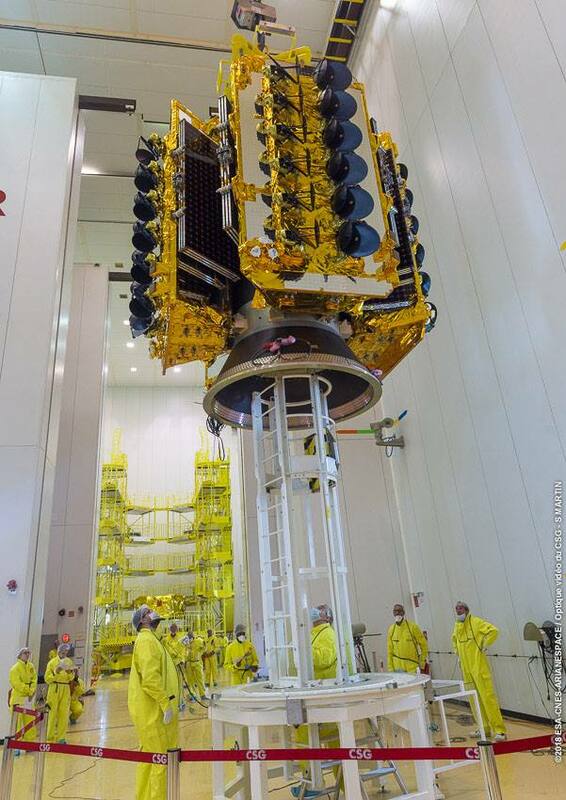 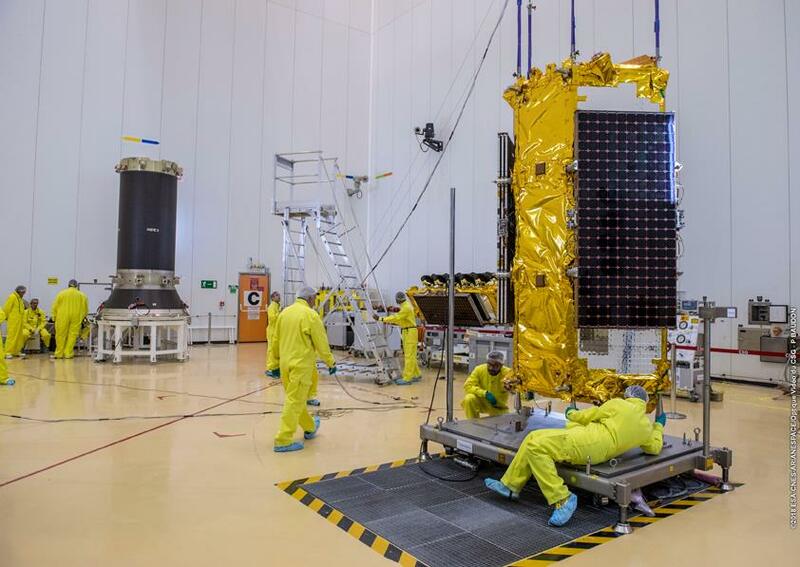 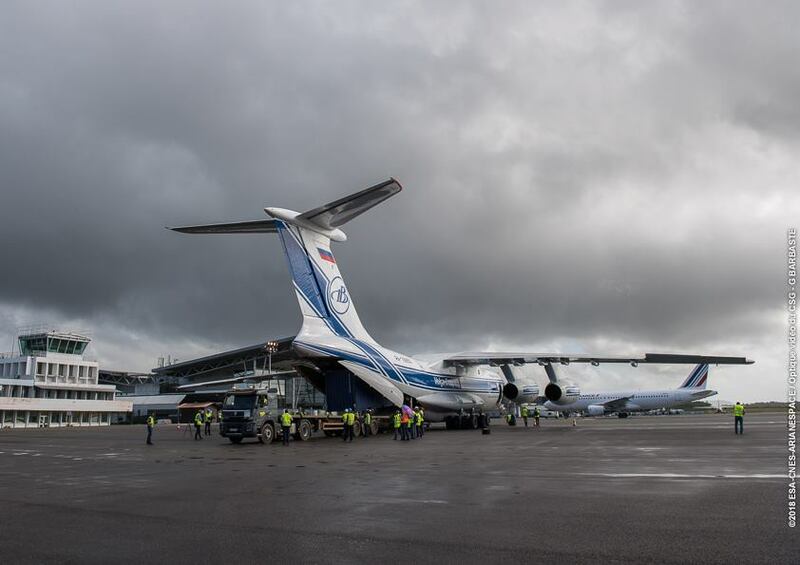 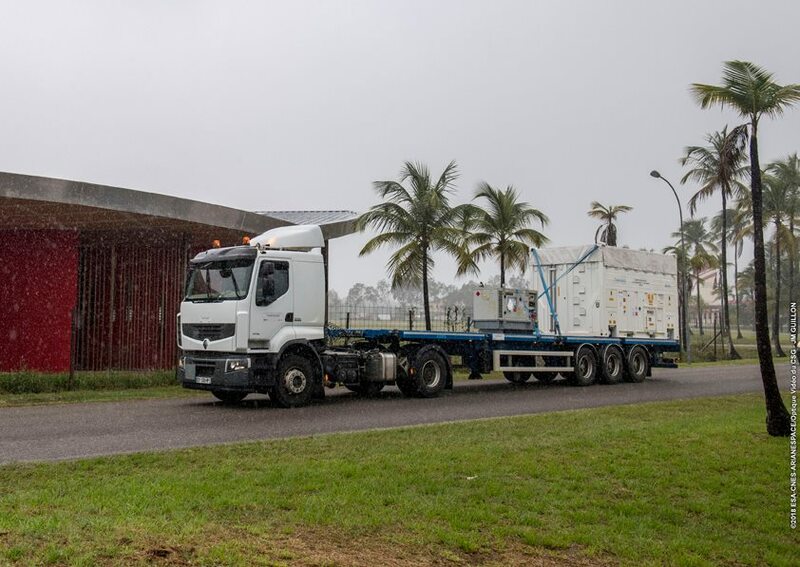 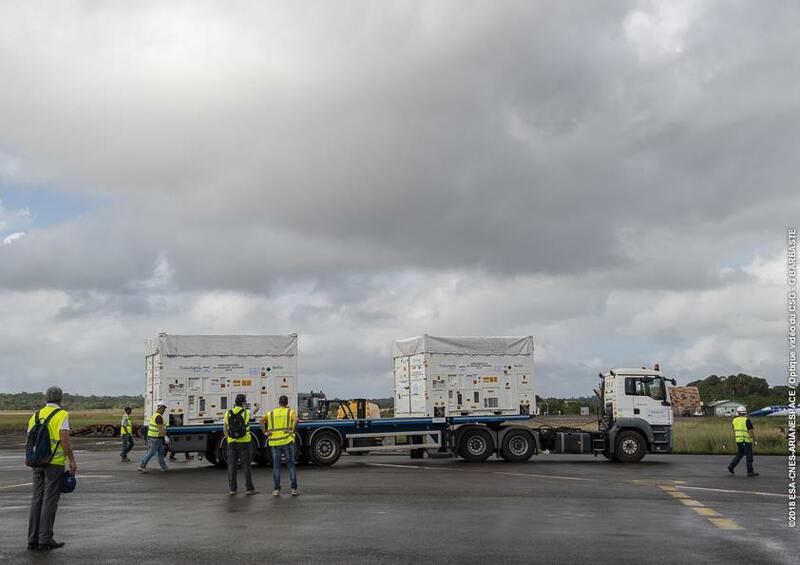 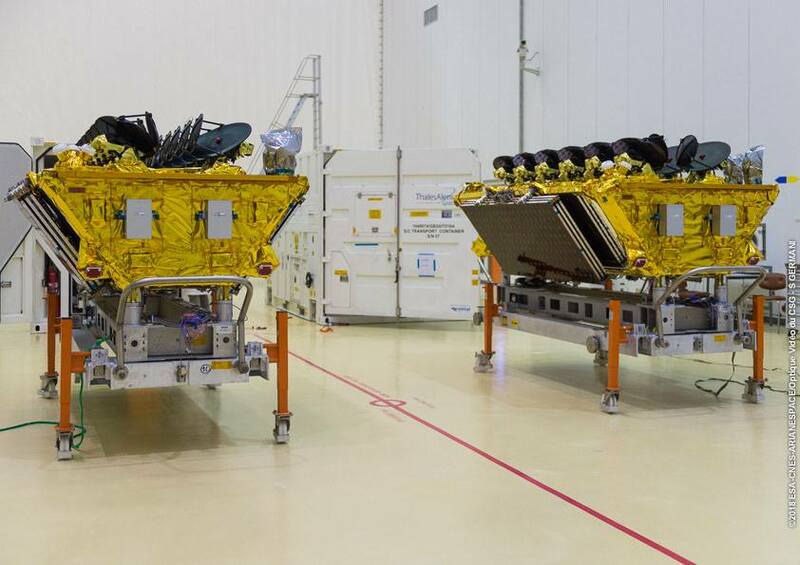 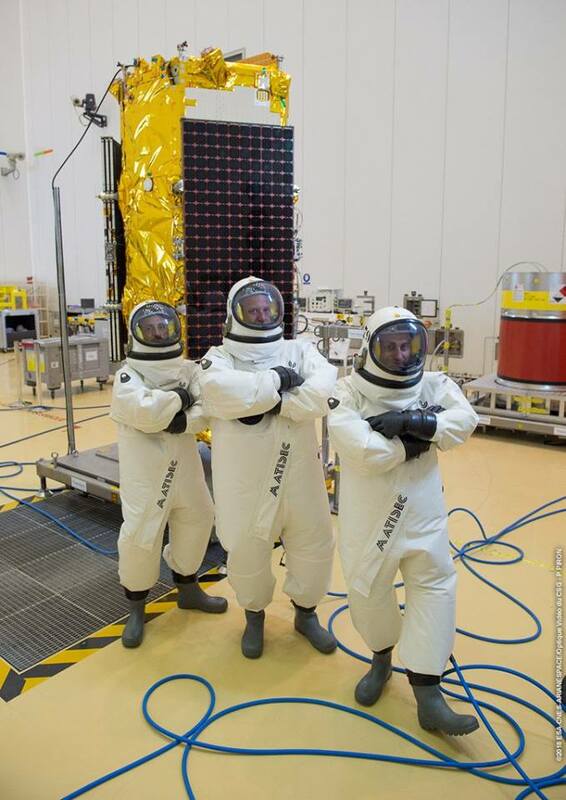 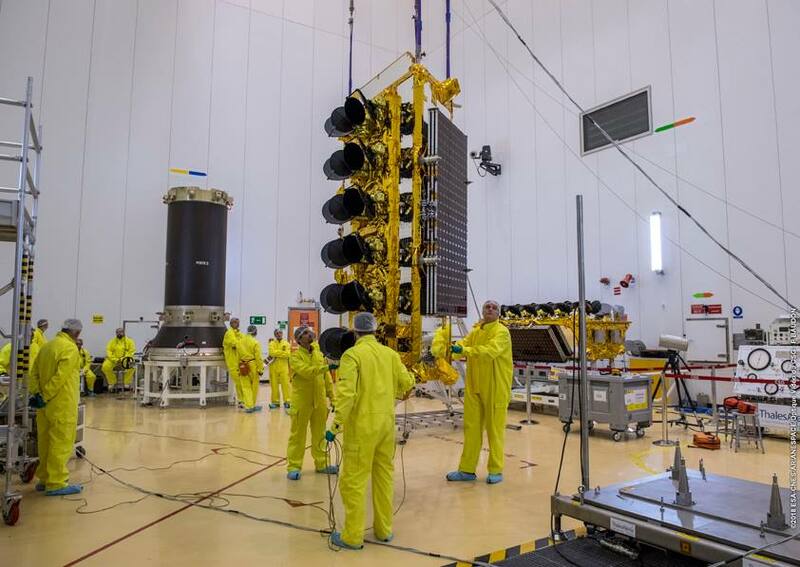 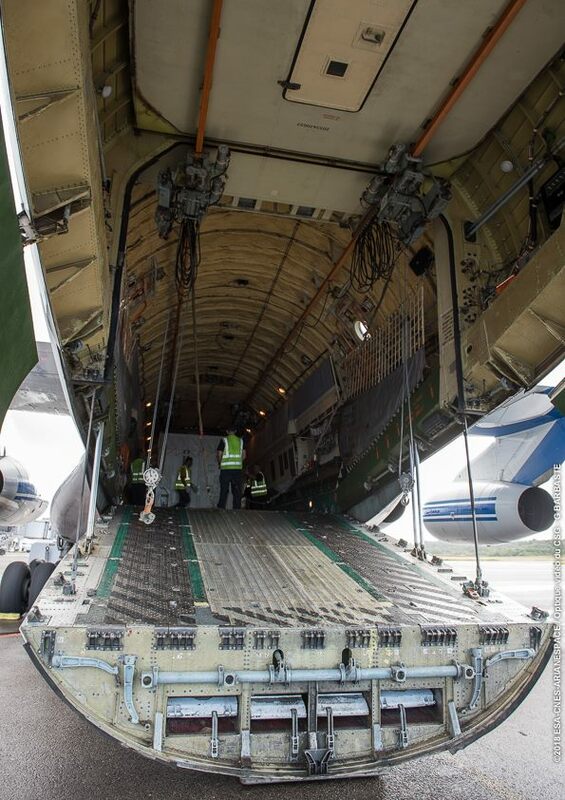 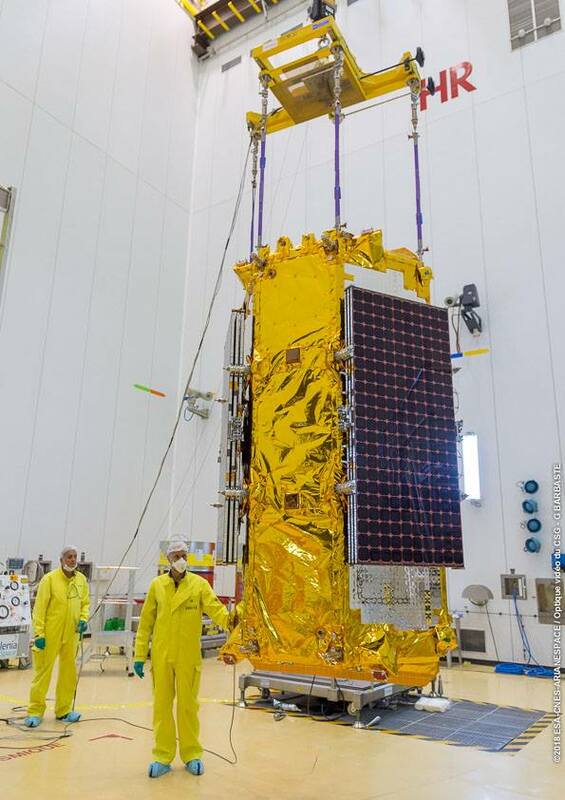 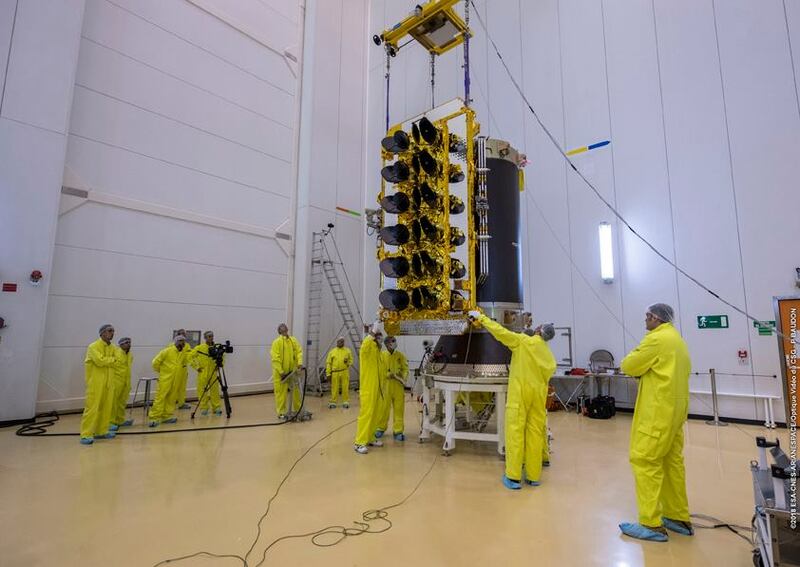 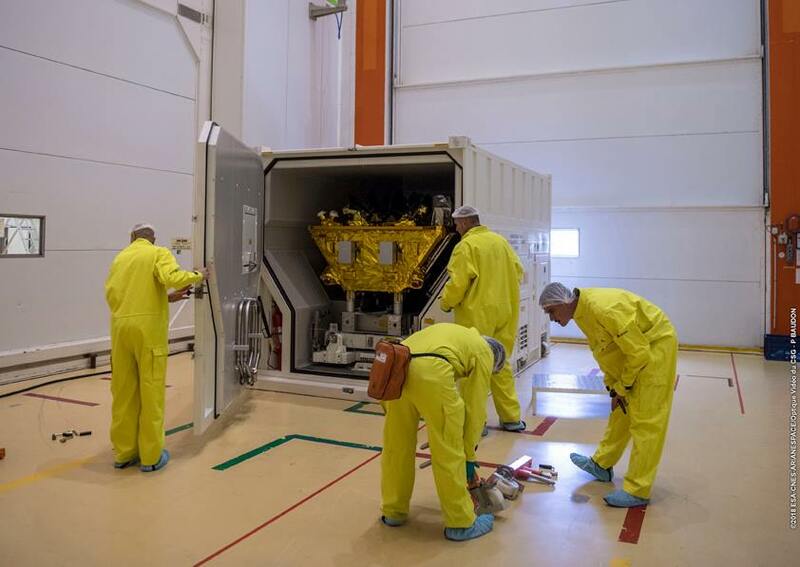 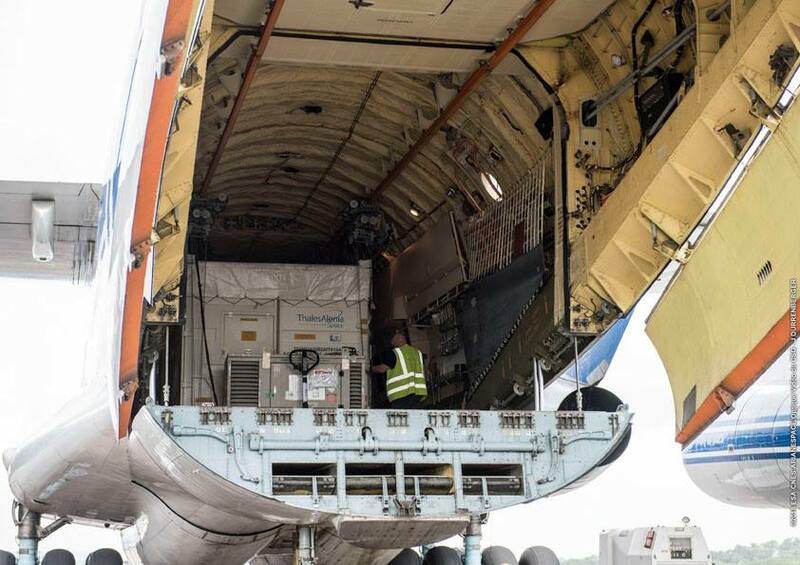 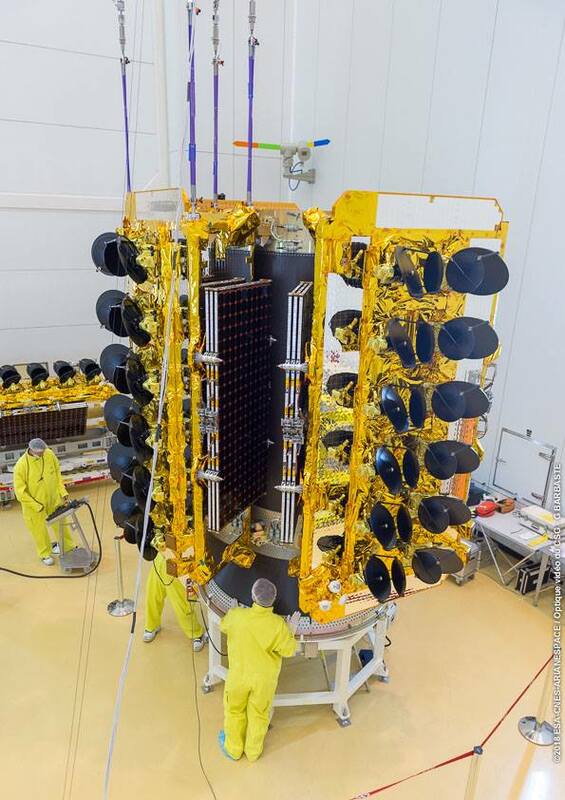 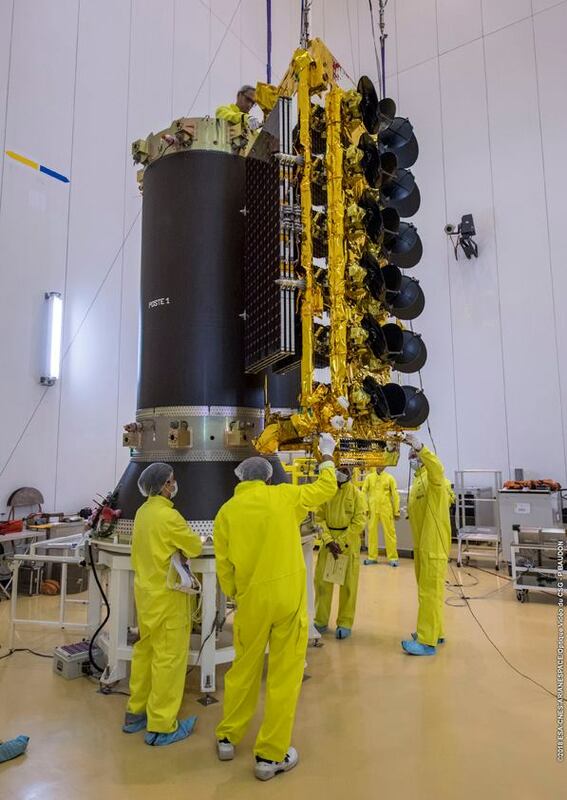 Four O3b Networks satellites arrive at the Guiana Space Center after a trans-Atlantic flight from their manufacturer Thales Alenia Space and complete final pre-launch processing. 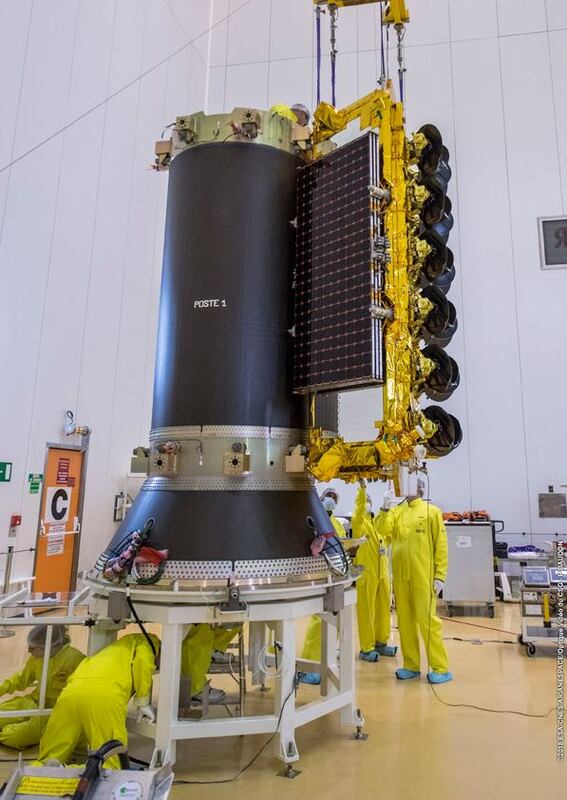 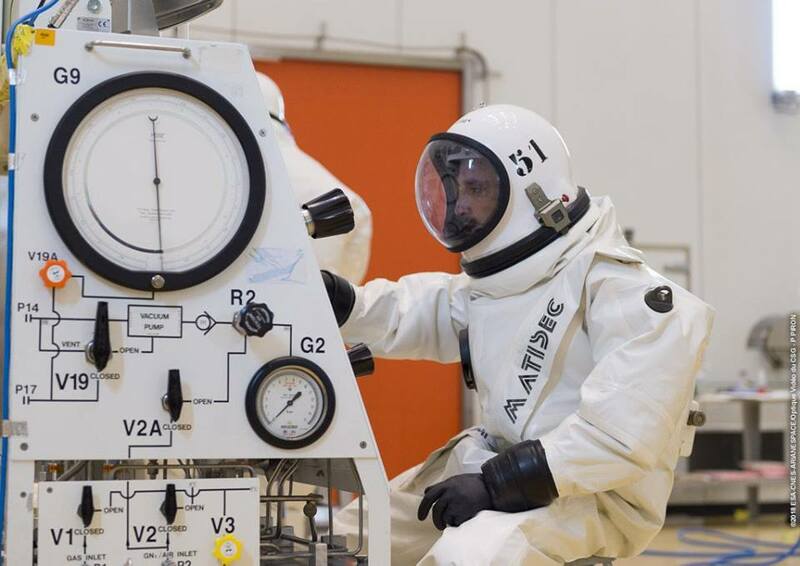 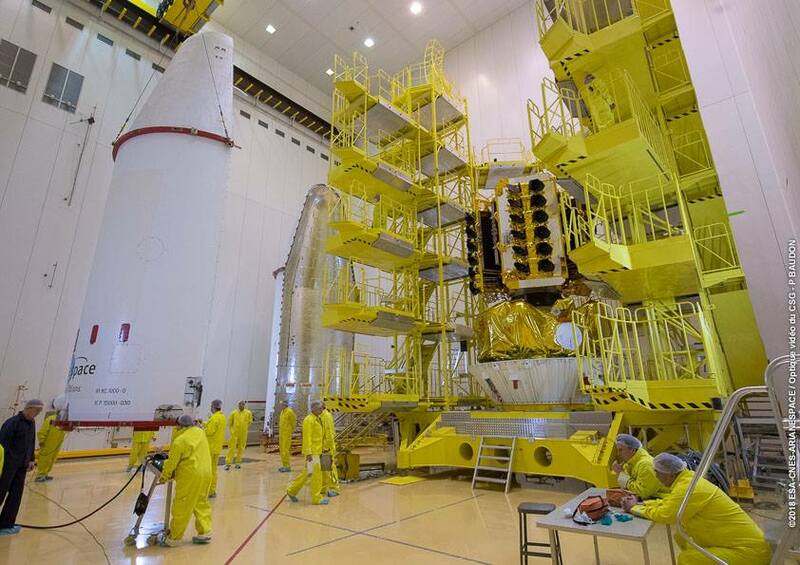 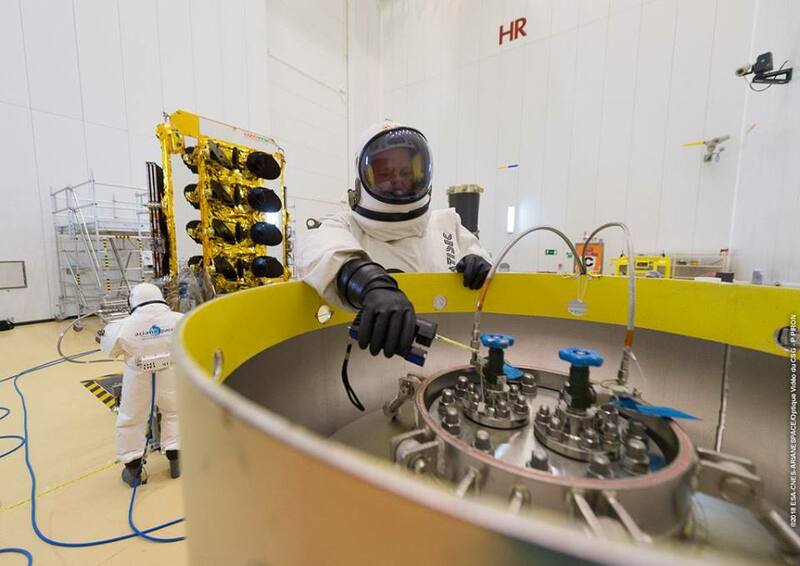 Getting ready for a March 2018 liftoff atop a Europeanized Soyuz rocket, the four satellites completed final functional testing and propellant loading before taking their spots around a cylindrical launch adapter and being installed on the Fregat upper stage that will lift them into an 8,000-Kilometer orbit above the equator. 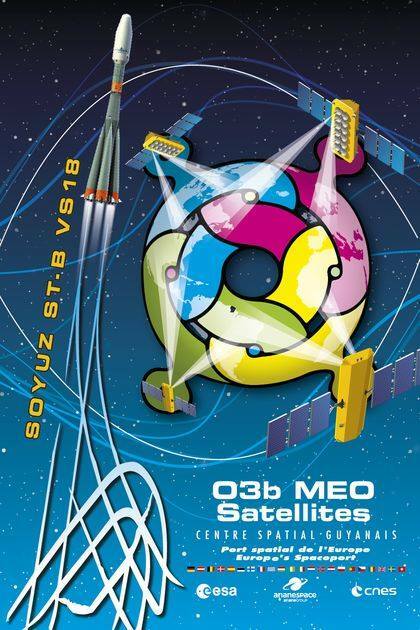 O3b satellites FM13 through FM16 incorporate performance enhancements to add further capacity to the O3b constellation, delivering Internet and data backhaul services to emerging markets and the developing world.